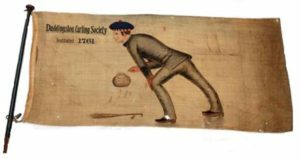 The sport of curling began in Scotland in the 16th century, with the earliest known curling stone dated 1511 and the earliest written evidence dating to 1540. 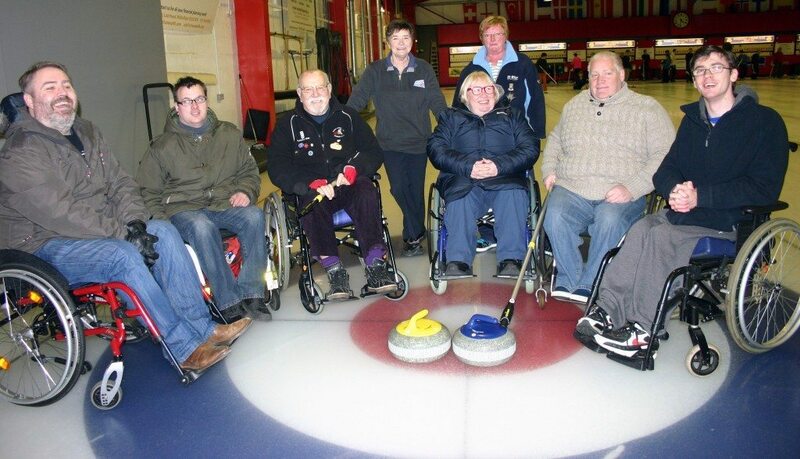 Curling in Edinburgh goes back a long way as well. 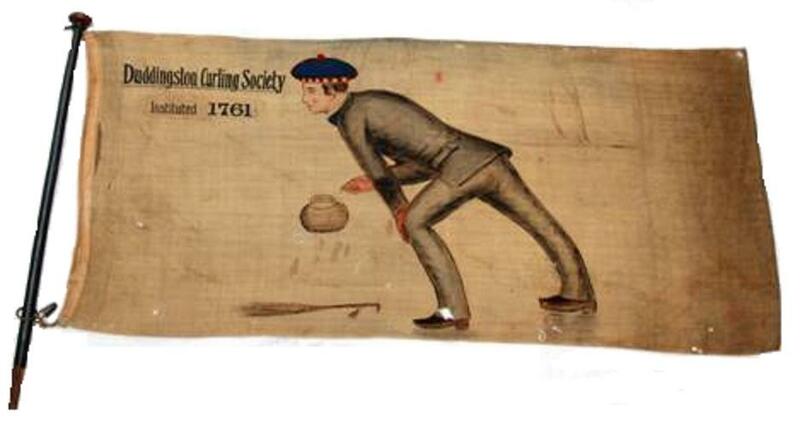 The Duddingston Curling Society was formally constituted in 1795, with curling history likely going back much further. The formation of what became the Royal Caledonian Curling Club in 1838 for the purpose “of regulating the ancient Scottish game of Curling by general laws” led to a significant rise in the sport’s popularity and thus the number of clubs, and this was certainly the case in Edinburgh. In the late 19th and early 20th century there is evidence of play in over 50 locations within the city, on natural ponds (such as Duddingston Loch), artificial ponds (such as that of the Holyrood Club, now engulfed by the Cameron Toll Shopping Centre) and cement or tarmac rinks (such as one very close to Murrayfield at what is now Murrayfield Tennis Club. The vagaries of the weather had led to several attempts to create viable indoor rinks in the late 19th century. 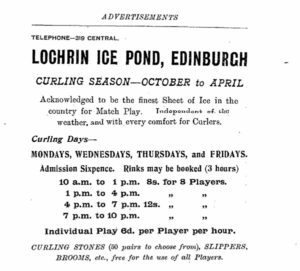 In 1912 – the year Edinburgh Curling Club was established – the first ice rink in Edinburgh opened at Lochrin, very closely followed by the one at Haymarket, which was built on a site beside the station vacated by James Swan and Company Ltd, the auctioneers. The 4-sheet Lochrin rink did not last long, closing in 1915, but Haymarket flourished and remained open up until 1978. The 1930s saw a huge rise in the popularity of ice hockey, and many rinks were built across the country catering for both curling and skating. The main rink at Murrayfield was completed in 1939, but was immediately requisitioned for war use, and only opened for public use in 1951. 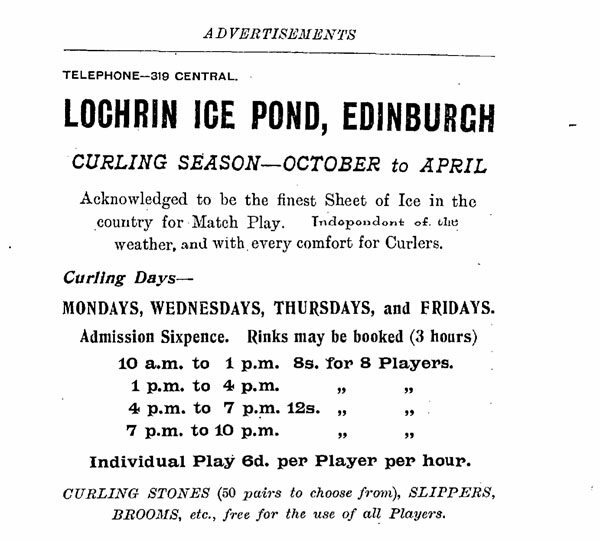 Although mainly catering for skating, curling took place there on a regular basis as well. In 1980, the present 7-sheet Murrayfield curling rink opened, effectively as a replacement for Haymarket. Many of the historic Haymarket competitions are played here, such as the Swan Trophy (believed to be the oldest continuously sponsored curling competition in the world) and the Edinburgh International, which started life as the “World’s Championship” at Haymarket in 1922.